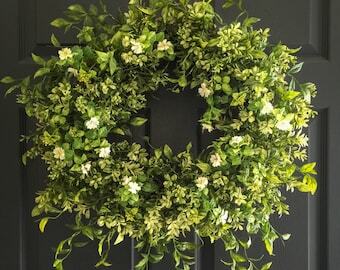 A beautiful faux two-tone boxwood wreath with white tea leaf flowers. 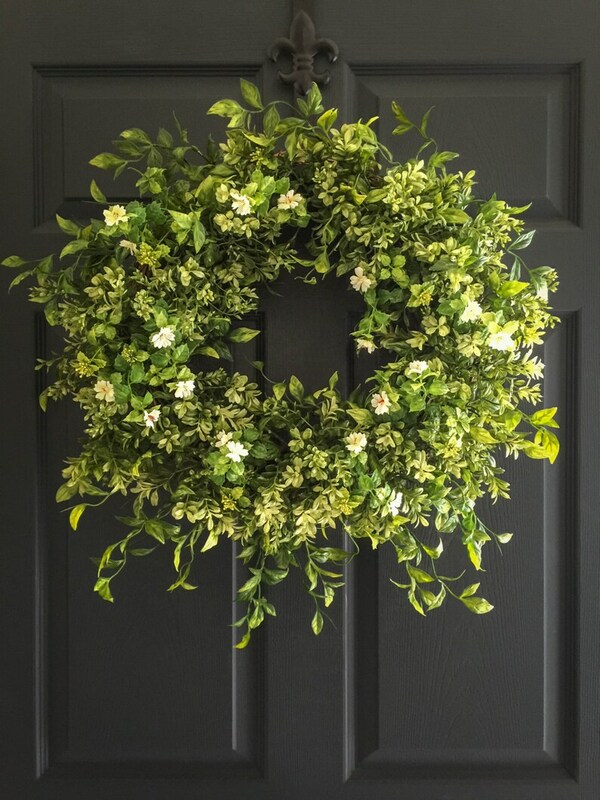 Handmade with realistic artificial boxwood and tea leaf floral on a natural grapevine base. 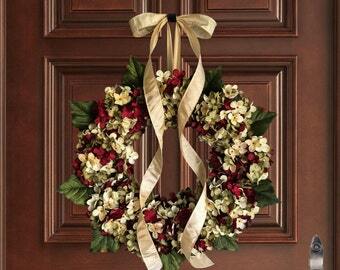 Displays beautifully as an indoor or outdoor wreath. 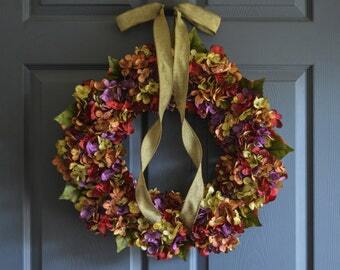 This wreath is a perfect home decor accent for over the mantle, bathroom greenery, front door decoration, or office decor. Very pretty, dense and full, exactly as described. Be patient...it took a few weeks to come, I think because she makes it to order. Very happy with it! 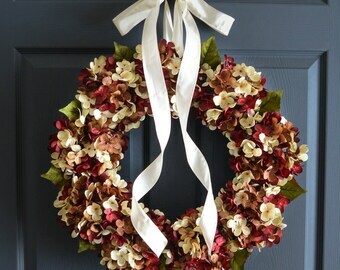 Nicely made:) Shipping was a mix up, but Janell took care of it right away. 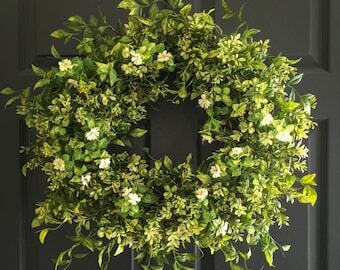 The wreaths came well packed.